I wrote a Summer Baking Bucket list waaaaay back in June and I’m finally starting to check some things off! What can I say…? With distractions like beach weekends, best friend reunions, birthday parties, ice cold beers and baseball games, it’s easy for a girl to fall into the rabbit hole of procrastination. But August? August is all about making things happen. August is all about making making magic happen. In our kitchens and on our tables! … and maybe just a few more beach days. But first: CUPCAKES! 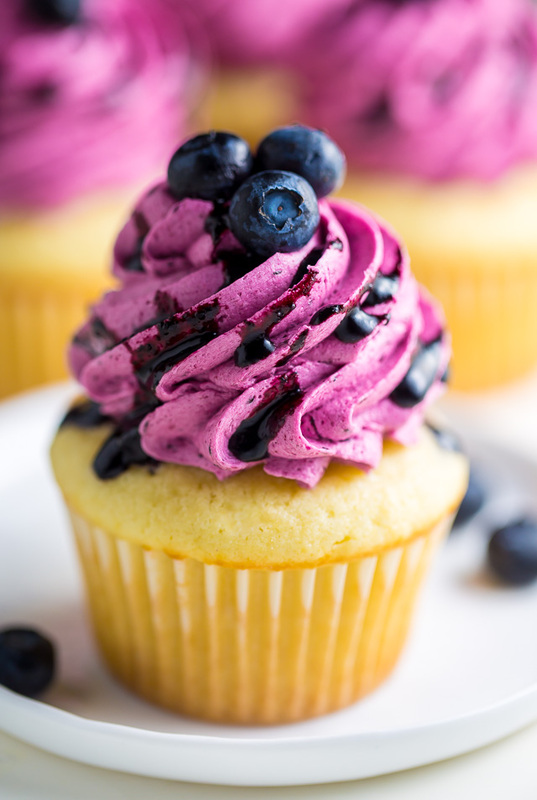 These Lemon Cupcakes with Fresh Blueberry Buttercream have been a dream of mine for months now. They’re lucky #7 on my baking bucket list, and they’re EVERYTHING a blueberry loving gal (or guy) could ask for. 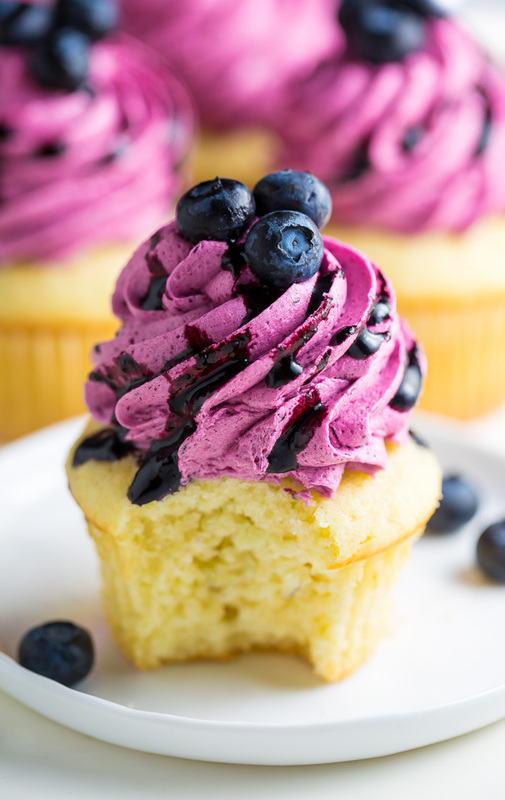 The fluffy cupcakes are bright and perky thanks to fresh lemon juice, zest, and lemon extract… and the blueberry frosting?! It’s amazing AF. It’s sweet, beautiful, and colored 100% naturally with fresh blueberries. No food coloring here, thank you very much! If you really wanna get fancy double the blueberry puree and drizzle some ON the frosting. It’s pretty, tasty, and super impressive. Top with a few fresh blueberries to make them a triple threat. 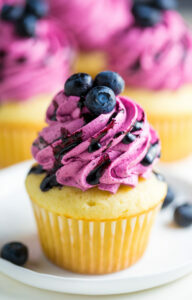 To make the the beautiful fresh blueberry frosting you’ll need to first make a blueberry puree. You’ll begin with one and a half cups of blueberries and cook them down until the mixture has reduced to a 1/3 cup. 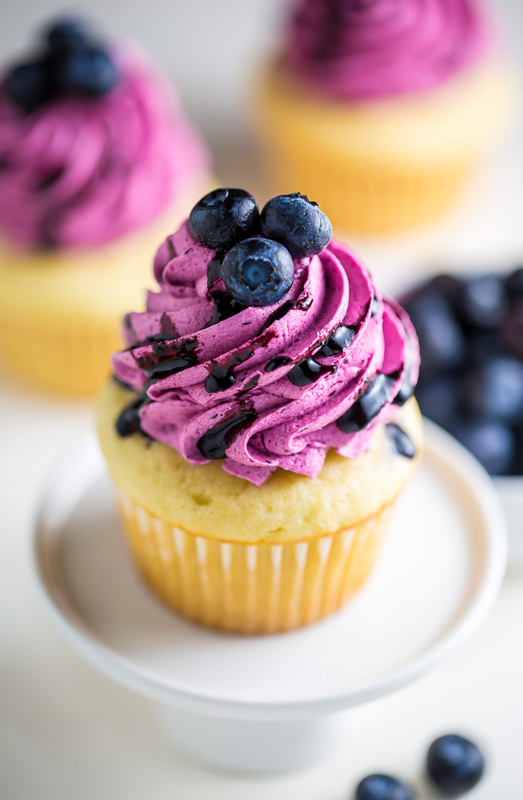 If you’d like to drizzle fresh blueberry sauce on top of the cupcakes (like you see in my photos), make a double batch of the blueberry puree. You’ll need a fine-mesh strainer to make the blueberry buttercream! You’ll place the strainer over a small bowl and push the puree though. You’re only going to use the liquid in the bowl. You should have about 1/4 cup of liquid in your bowl. Discard any skins/seeds left in the strainer. Please make sure your blueberry puree is completely cool before adding it to the buttercream. If the puree is even a little warm when you add it to the butter it will throw off the consistency of the frosting, leaving you with a gloppy, grainy mess. The puree typically takes 30 minutes to cool (in the fridge), and can be made ahead of time – and stored, covered, in the fridge – if needed. If you plan to drizzle some on top of the cupcakes and it’s too thick to spoon, simple add a 1/2 teaspoon of lemon juice to loosen it up. To reach the proper buttercream consistency you’ll want to make sure your butter is very soft before beginning. I suggest setting your two sticks of butter out on the counter for at least an hour before unwrapping them and getting busy; your butter may soften faster or slower depending on the temperature of your house. You’ll know your butter is soft enough when you can press your finger into the top and an indentation is effortlessly made. Cold butter as well as melted butter should never be used when making this buttercream; it will not work. If your frosting appears too thin, simply add a little more confectioners’ sugar, one tablespoon at a time until desired consistency is reached; if your frosting appears too thick, add a touch of cream. If you’re going to decorate your cupcakes with fresh blueberries, I suggest using the tiniest ones you can find. They look cuter and don’t weigh down the frosting as much. Farmers markets typically have better options for this than grocery stores. If you can only find jumbo blueberries just use one on top instead of 3. Sorry for all that buttercream nerd talk. I just want it to work beautifully for you! You may have noticed in all that gabbing above I didn’t talk about the actual cupcakes. That’s because they’re really easy! 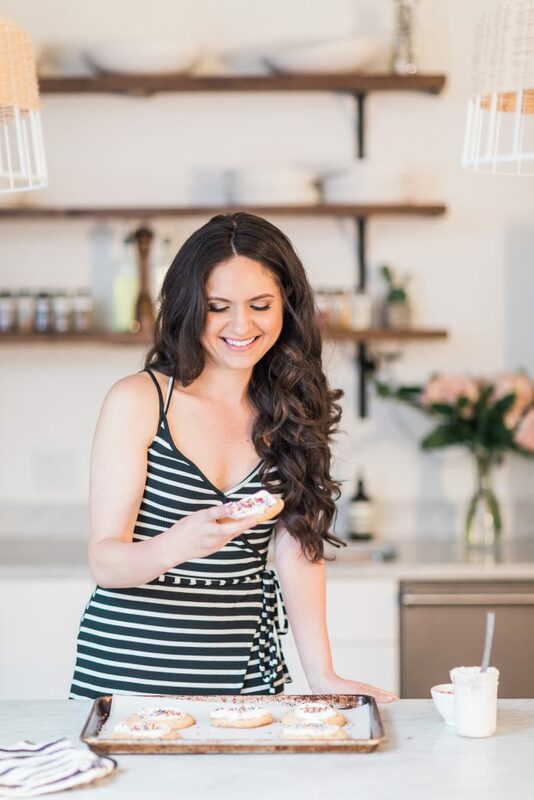 Just be sure you bring your ingredients to room temperature (butter, eggs, sour cream), don’t pack your flour (lightly spoon it into the measuring cup and level it off with the back of a knife), don’t over bake, don’t over mix, and be sure you allow your cupcakes to cool completely before icing them. Oh! And use FRESH lemon juice. That bottle junk just isn’t the same. Preheat oven to 350 degrees (F). Line a 12 mold cupcake tin with paper liners and set aside. In a large bowl using a handheld electric mixer, or in the bowl of a stand mixer fitted with the paddle attachment, beat the butter on medium speed until smooth and creamy, about 30 seconds. Add in the sugar, lemon extract and lemon zest and beat until well combined. Add in the egg and egg yolk and mix well, scraping down the sides of the bowl as needed. Reduce the mixer speed to low. Add in 1/2 of the flour mixture and mix until just combined (this should take about 5 seconds). Add 1/2 of the sour cream and mix until just combined. Repeat with remaining flour and sour cream, being sure to mix on low until just combined. Turn mixer off. Using a rubber spatula, quickly fold in the lemon juice. 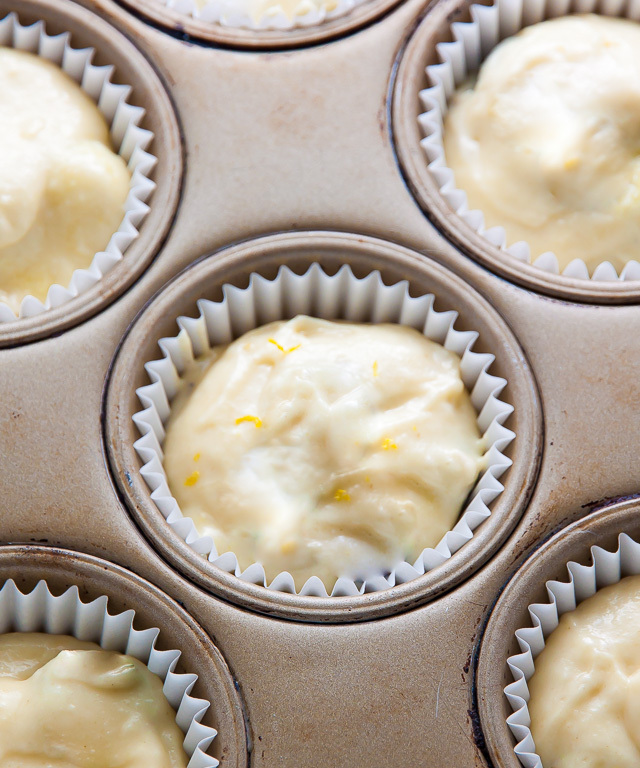 Divide the batter evenly among the prepared muffin cups, filling them 3/4 of the way full. Bake for 16 to 18 minutes, or until a toothpick inserted in the center comes out clean. Allow cupcakes to cool in the pan for 5 minutes before transferring them to a wire rack to cool completely. Once cupcakes are cool, frost and decorate. The cupcakes may also be frozen, unfrosted, and stored in a freezer safe bag, for up to 2 months. In a small saucepan combine blueberries and lemon juice; bring to a simmer over medium heat and cook, stirring constantly and gently smashing the blueberries smooth, until thickened into a deep, dark blueberry reduction, about 10 minutes. Remove from heat. Place a fine-mesh strainer over a small bowl and push the puree though, leaving any skin/large chunks behind. Allow mixture to cool completely before using. 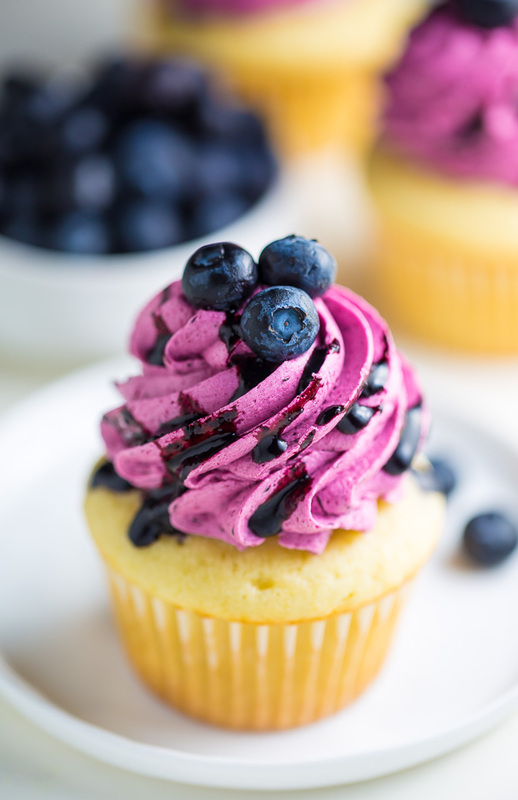 If you'd like to have enough blueberry puree to drizzle on the cupcakes, double this recipe and set half aside for decorating. 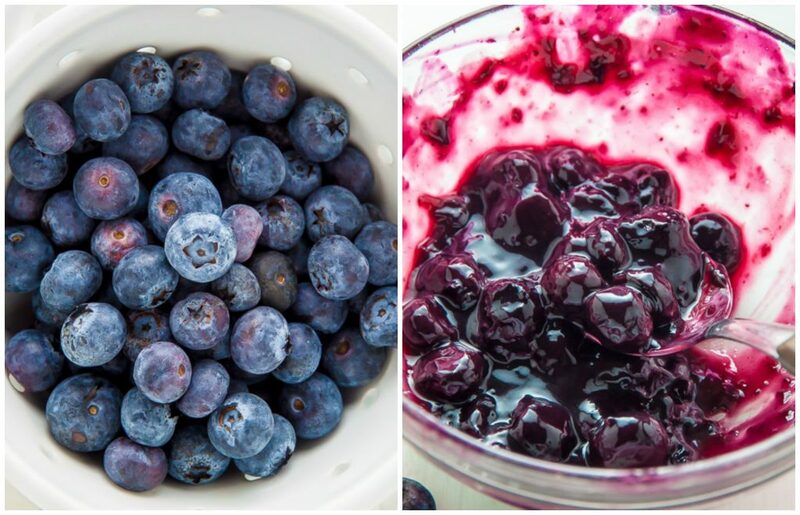 Once the blueberry puree has cooled, place the softened butter in a large bowl or in the body of a stand mixer. Using a handheld mixer, or with the paddle attachment on your stand mixer, beat butter on medium-high (scraping down the sides as needed) until completely smooth; about 2 minutes. Add in a 1/4 cup of the blueberry puree and beat until completely combined; about 1 minute (don't worry if the mixture looks weird at this point). Add in the confectioners sugar, one cup at a time, on low speed. Once all of the sugar has been added, add in the cream and salt, then beat on high-speed for a full 2 minutes - this thickens up the frosting and makes it nice and fluffy. Frost cooled cupcakes as desired. Store cupcakes in an airtight container, in the fridge, for up to 3 days. Bring to room temperature before serving. I’m officially obsessed with your buttercream swirls. And that blueberry buttercream sounds like a dream. Definitely a must make for me. What does the reader mean when she says she is afraid to use this please. That buttercream frosting is what really got me – it looks absolutely delectable! Beautiful! These look absolutely beautiful!! Blueberries and lemon has to be one of my favorite summer combos. I like your idea to use a mesh strainer for the blueberry puree… will definitely have to try that out next time! These are so gorgeous! The pop of color the blueberries give is amazing! These are amazing! I made them for a friend (in cake form) and they couldn’t get enough. Just enough lemon flavor and the frosting balances out the flavor of the cake perfectly! Love! I found this too ! I struggled more with the cupcakes than the butter cream. Had to try and fix the cupcakes. Would I be able to sub the flour with a glutten free blend? I am just starting to really get into baking and these cupcakes were definitely on a whole ‘nother level. I would have ended up with a hot mess if it wasn’t for your super helpful tips. Thanks for making it easy for me to attempt to make these! I tried the blueberry buttercream recipe and it turned out horribly. It’s like the butter heated up and cooled and didn’t blend well with the powdered sugar and blueberry sauce. I made it two times and both times turned out horribly. the cake, itself was delicious and i’m scraping off the frosting in hopes of salvaging it. What did i do wrong? I made the cakes and frosting and they were both amazing. The blueberry buttercream is one of the best frostings i’ve ever made and possibly ever tasted. The cakes are a perfect amount of lemon and so light and fluffy. I weighed all my ingredients and the recipe was spot on. Thank you so much for sharing, this will be a staple dessert around here from now on! These cupcakes look so… delicious! I can’t wait to make these. Hey. I was wondering how many cupcakes comes out of the recipe? I made these and I got 13 cupcakes out of the batch. I made a double batch for a graduation party by request. I followed th directions and they came out good. My husband and I tried one without frosting and it is super yummy. I will be making the frosting tomorrow to decorate them. My question will the blueberry seep into the cupcake Ifrostvtomorriw for Sunday’s party? Hi Julie! I think frosting them the night before is fine, but I wouldn’t add the blueberry puree (if you’re using it) until the morning of. Have a great party! Your blueberry buttercream frosting seemed like the perfect filling for lavender French macarons. Oh, my gosh! It was! This is officially my favorite frosting! They were beautiful and delicious! http://myhumblehomeandgarden.com/2017/06/15/make-lavender-macarons-blueberry-buttercream/ I am making mini cupcakes this morning for a party and they will also be topped with this delicious blueberry buttercream. I included a link to your website on the post. These where awful, and did not work. Don’t take my word too seriously, try it for yourself. Could you describe what went wrong? I’d love to help! Oh MY Goodness!! These are amazing. I baked the cupcakes and made the blueberry sauce last night and finished the frosting during lunch today. I wasn’t sure if I’d like the cupcakes because usually I don’t like lemon cake but the lemon flavor was just right. I wasn’t sure if using our Alaskan blueberries was going to made the recipe not work?? (Our blueberries are more tart) I did have to cook them down a little longer To get it as thick as I thought it should be. I was worried about the frosting coming together and was glad that I caught the part about using the paddle attachment because I automatically put on the wisk and had to take it off. Thank you for sharing your recipe!! Was hoping to find out how much frosting this yields ? Thank you! They look so delicious! I made these for my birthday to hand out and everyone loved them!!! I don’t bake very often, so if I am able to follow this recipe, others should be able to also. Just make sure you read through her instructions carefully and follow all her suggestions. I’m looking forward to baking more of your recipes! Thanks for being so descriptive! So happy these were a hit for you, Thao! Happy (belated) birthday! How does the frosting hold up overnight? Thanks in advance! Follow your tips, and let the puree cool completely before adding it but, my frosting still came out grainy. Any other tips? Hello! Can I make this into a cake? Do I need to change measurements? What size of pan would I use if I’ll make a 2 layer cake? Thanks! I made these for my winery birthday. I made it with blackberries and blueberries to get more of a red color. Turned out great! Full disclosure… I used box lemon cake mix. Betty cocker makes a good mix with pudding in it. They were super moist. if I need to make 25 cupcakes, could i just double the recipe or would i need to make 2 batches? Thank You! These look amazing and I can not wait to ty them. I’d like to make this as a birthday cake. What are your suggestions for cooking times if I made two cake rounds for layering? Hi, I’m wanting to try this recipe but am wondering how many cupcakes this recipe will make. And more specifically large (muffin sized) or small mini cupcakes. I am planning on making this recipe for my daughters borthday party and I have a ton of fresh frozen blueberries. Could I substitute frozen for fresh? Any tips for doing so? batter to bake 12 cupcake and 9 Madeleines. Made these today, turned out great, but added buttermilk in my lemon cupcake to have a more moist cake, its great will do these again. Could i use lemon juice instead of lemon ekstract? I noticed this recipe doesn’t have a liquid but I decided to try it anyway. I was right to be concerned as it was extremely thick, the consistency of play dough, just stickier. I really wanted this to work as I am having difficulty finding a good lemon cupcake recipe. I’m wondering if an ingredient has been left out? Is there supposed to be milk or water in these? Can I freeze the left over frosting? I made these yesterday. The flavor is fantastic. The colors are vibrant. 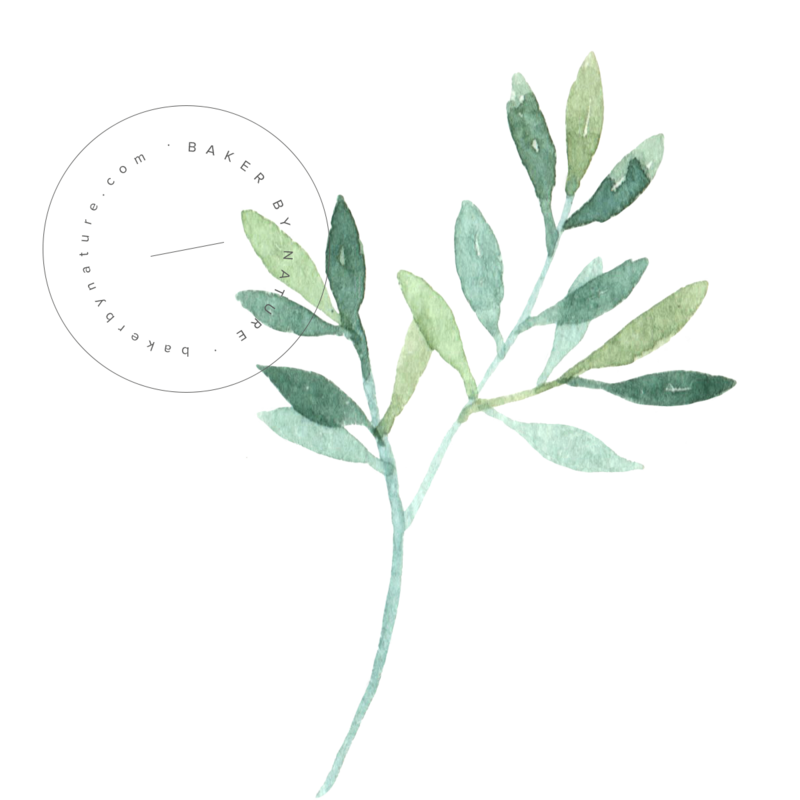 The texture dense. I would prefer a more airy cupcake. Will do a little tweaking and try again. Great recipe though! Hi, I’m about to make this tomorrow for my family. We’re not a fan of lemons. We’re fine with a subtle lemon flavor, but not a strong, pronounced one. Any advice on how to modify the recipe for people that don’t like lemons as much? Also, can I substitute vanilla extract for the lemon extract or would that taste weird? Thanks in advance! I will do a rating once I finish making it tomorrow. Can’t wait! Awesome recipe! I cooked this with my family today and came out amazing! No joke! I was craving a fresh, summery cupcake. And I definitely had some trepidation and uncertainty if this recipe would come out good as with any new recipe, but I’m so thankful to be writing now after tasting the cupcake myself that this is a excellent lemon blueberry cupcake! Soft, crumby lemon cake with a silky, smooth blueberry frosting. I’m a person that takes cupcakes seriously with high expectations. First, the cupcake must be soft, airy, and not-muffin like. It is cake in a cup-size after all. And the frosting must be delicious. This recipe is was exactly that! Lemony, but not overpowering. Although, I did do a few modifications. I did not had the lemon extract as I didn’t have it on hand. And I added less salt for the frosting according to my tastes. I only added 2 pinches od salt as I know that enhances the sweetness. Overall, super happy with my cupcakes. Thank you! Oh my goodness – followed instructions tothe letter and they were PERFECT! I’ve been asked to make these again a dozen times over! How many mini cupcakes does this recipe make? 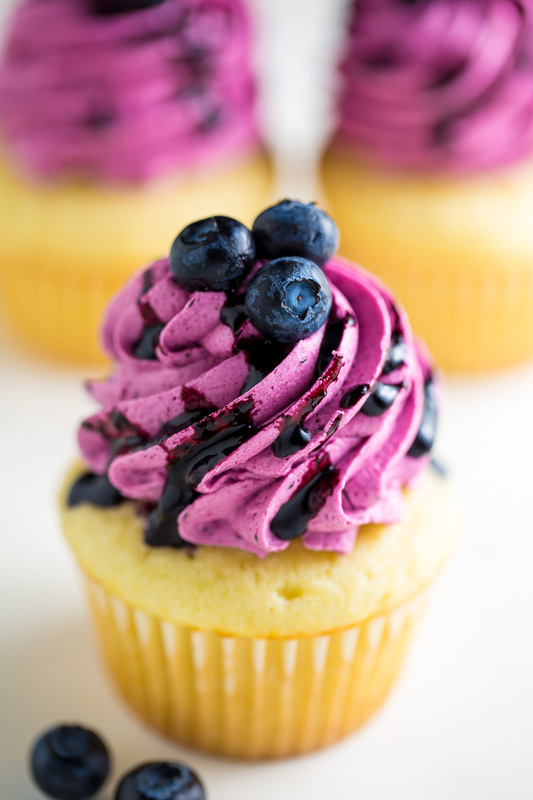 Your fresh blueberry buttercream is awesome! I used it on a lemon layer cake today. The consistency was perfect. I tried these tonight. The cupcake was amazing. I loved it. I struggled a lot with the butter cream. It tasted too buttery at first. I tried adding more sugar and heavy cream but then I was too sugary and broke apart. What’d I do wrong ?